Dubai Electricity and Water Authority (Dewa) and GE Power have announced the launch of the Predix Asset Performance Management (APM) application at the 970 megawatts (MW) L1 power station. The landmark project marks the first digital transformation of a power plant by GE Power in the UAE, said a statement from GE. GE’s Predix APM is a suite of software and service solutions designed to help improve the performance of assets. It connects disparate data sources and uses advanced analytics to turn data into actionable insights while fostering collaboration and knowledge-management across an organisation. Predix APM reduces unplanned downtime and increases availability and reliability by helping to ensure critical assets and systems are monitored and protected from emerging threats, it stated. It also improves workforce productivity by prioritising maintenance based on criticality and cost (condition-based), rather than schedule-based maintenance practices and reduces costly emergency repairs by detecting problems early, reducing unplanned downtime, thus introducing predictive maintenance into our business process, it added. Dewa CEO and Managing Director Saeed Mohammed Al Tayer said: "The digital transformation of our assets and facilities is a key component of our plan to support the National Innovation Strategy announced by His Highness Sheikh Mohammed bin Rashid Al Maktoum, Vice President, Prime Minister and Ruler of Dubai, to make the UAE one of the most innovative countries in the world." "By collaborating with GE, we are enhancing the performance of the L1 power station, taking the technologies of the 4th Industrial Revolution such as Artificial Intelligence (AI), Robotics, Blockchain, and the Internet of Things to support the 10X initiative to propel Dubai into the future, putting it 10 years ahead of other global cities through disruptive innovation and R&D, for generations to come," he added. GE said it had implemented Predix APM on more than 130 assets at the L1 power station located in Jebel Ali, Dubai and will monitor the assets on a continuous basis for a period of two years. During this period, GE will also provide trainings for Dewa’s staff to help build in-house capability for them to run Predix APM, analyze the data and develop insights. "Dewa is at the forefront of driving digitisation and innovation initiatives in the power sector and we are honored to support their digital transformation journey," said Sadi Awienat, Chief Digital Officer of GE Power in Africa, India and the Middle East. "GE’s Predix platform has helped our customers and partners around the world to draw on the power of data to enhance power plant reliability and availability. 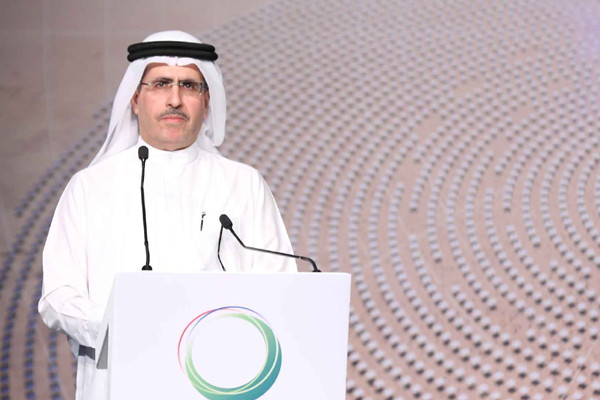 As the first digital power plant in the UAE, Dewa’s L1 station will now have a strong digital backbone that will help to further improve operations over the life-cycle of the facility," he added.